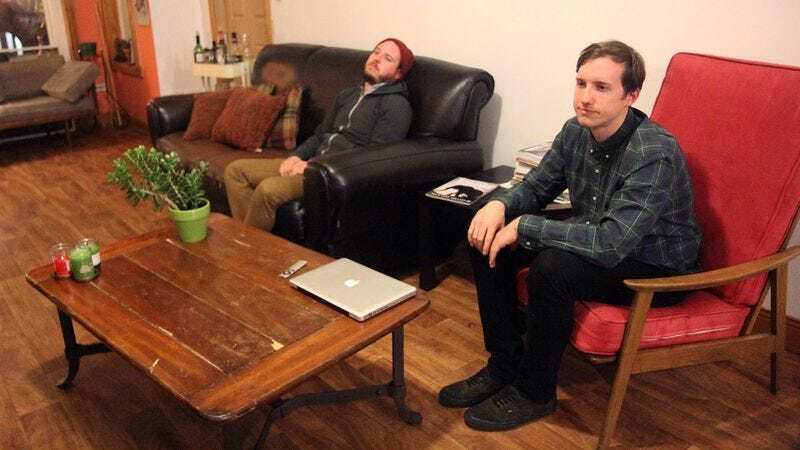 DENVER—Noting that many areas are completely unrecognizable compared to when they first moved in years ago, residents of 1102 Larimer Street Apartment 2B told reporters Thursday they’ve begun to worry their well-paid roommate is slowly gentrifying the apartment. “I don’t hold anything against Mark personally for having a good job, but as soon as he moved in, the framed pictures started going up, and this place has lost a lot of its original character,” longtime roommate John Wertz said of the new arched floor lamp, Whole Foods groceries in the pantry, and a potted succulent plant that have slowly replaced the apartment’s longtime furnishings and steadily reshaped the space’s look. “It first started in the living room when Mark replaced the old green futon that had been there forever with a brand-new Crate & Barrel couch, but then it began to spread, and you started seeing a new candle pop up here or a set of matching coffee cups there. Of course, change can be good, but sometimes I look around and think, ‘Where do I even live anymore?’” At press time, sources reported that the Mr. Coffee on the kitchen countertop had been forced out of the apartment by a new De’Longhi espresso machine.